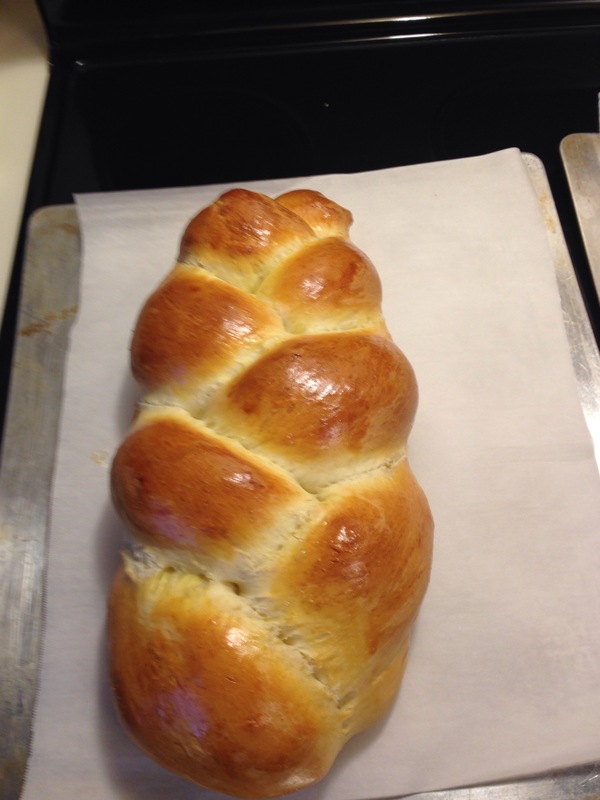 My local bakery sold out of Challah this week before I got there – horrors! I decided to make some with a recipe from my grandma’s recipe collection, adapting it to work in the bread machine on dough cycle. I should have made this years ago! Obviously, with the addition of butter, it is not a kosher recipe, but it makes a great texture and flavour. You could use oil if you prefer. Add to bread machine in the order given and run the dough cycle. Cover cookie sheet with parchment or grease it. 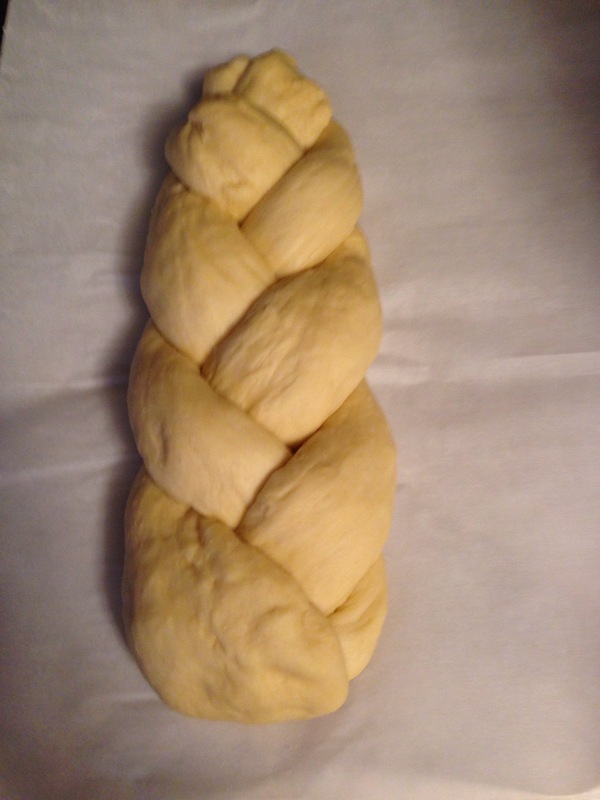 Divide dough into 3 pieces, form each one into a rope and braid them. Let rise for 45 minutes. Brush with a beaten egg. Bake in an oven preheated to 350 degrees F for 25 minutes. Cool on a rack. ooh..that came out just gorgeous! It is fun! 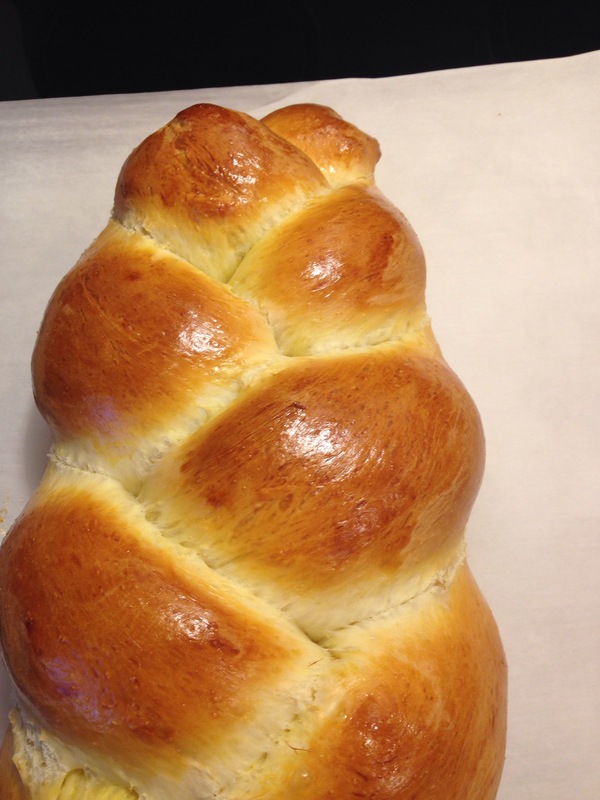 I make Easter bread braided into rounds as well. It sets the loaves apart as something special.